Insurance can be complicated. There are countless acronyms and insurance lingo. We will break down these terms and help you better understand the industry. Are you going to be shopping for health insurance this open enrollment? Well here are 7 things you need to know when shopping for health insurance. In an effort to help health insurance shoppers navigate their way through open enrollment, we’ve prepared our list of the 7 things you need to know when shopping for 2015 health insurance coverage. Take the time to review your options during open enrollment. Everyone should take the time to reshop for coverage, even if you’re already covered, and especially if you’re eligible for a subsidy. You probably already know that it’s a good idea to shop around for things like auto insurance, cell phones, and televisions, but did you know that 7 out of 10 people could save money by reshopping for health insurance?1 The best time for you to reshop for health insurance is during the open enrolment period. It’s especially important to reshop for coverage if you’re collecting a subsidy, or potential qualify for one, because you could be leaving a substantial amount of money on the table. Make sure you find a health plan that covers your preferred doctors. You should always double check whether or not a doctor accepts a particular coverage before you enroll. If you end up going to a doctor, who is outside of your provider network it can cost you substantially more than if that doctor was in your plans network. To verify coverage, don’t just simply call the doctor’s office, and assume they’re in your provider network if they say that they “accept” your plan. 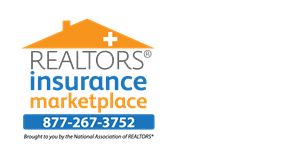 It’s always a good idea to confirm the doctors network status with a licensed agent or the insurance carrier. Make sure you’re enrolling in coverage that meets all of the Affordable Care Act requirements. Whether you purchase an individual and family major medical plan on a government exchange, or outside of a government exchange, it will still afford you all of the same basic set of “essential health benefits” as well as meet all of the coverage requirements under the law. However, it’s important to note that short-term health insurance plans or limited benefit plans might not meet all of the coverage requirements and may leave you exposed to a tax penalty when you file your tax return. Fill your coverage gaps with short-term health insurance. It’s important to know that your coverage under any new plan you select during open enrollment might not begin for up to six weeks. This doesn’t mean you have to go uninsured in the interim. While short-term plans don’t meet the requirements for the Affordable Care Act, they can limit your exposure to unexpected medical expenses while your waiting for your new major medical plan to start. Know how government subsidies work. Subsidies are extreme helpful to people who are earning less than 400% of the federal poverty level. But it’s important to understand that your 2015 subsidy is based on your 2015 income. If you end up earning more than expected in 2015, you may end up needing to repay some, or the entire subsidy you collected. It’s ok to look at your coverage options outside of the government exchanges. While shopping for health insurance at a government-run exchange is an option, it’s not always your best option, especially if you are eligible for a subsidy. Private online marketplaces like eHealth, in some cases, offer more coverage choices and a better shopping experience. So, if you want to make sure your viewing all of your options, it’s always a good idea shop around and look at licensed online health insurance marketplaces like eHealth.com. With eHealth, you can explore your options for health insurance plans by entering your zip code where indicated on the right side of this page. Or, you can sign up for our newsletter on the right side of this page, too.